Google Assistant Will Be Part of the Stadia Controller, But Why? Filed to: Does anybody really want a voice assistant in their controller?Filed to: Does anybody really want a voice assistant in their controller? Does anybody really want a voice assistant in their controller? So, Google’s Stadia game streaming service is here. Along with it comes the all-new Stadia-specific controllers. And on that nifty controller is a button that allows you to launch Google Assistant. What? 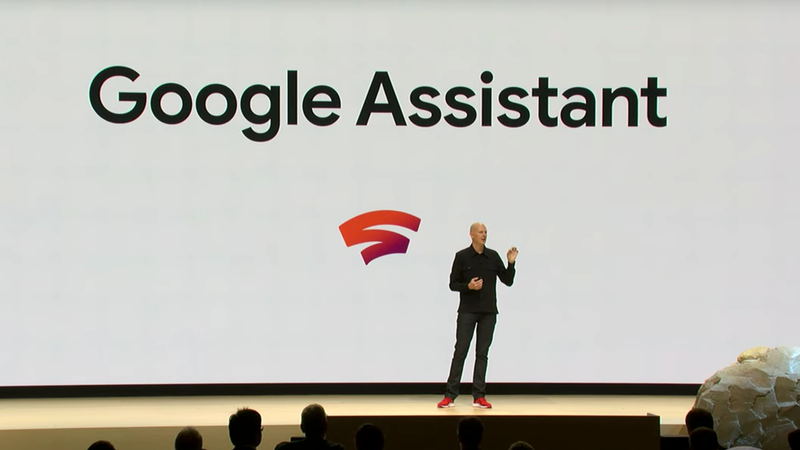 “Pressing this button allows players to immediately access the controller’s built-in microphone so they can get help from the Assistant for special in-game features integrated by game developers,” explained Google’s Phil Harrison from the stage at GDC. But what does this mean, Google? The most obvious use case is pulling up playthroughs on YouTube with the press of a button. In the on-stage demo, Harrison showed a case where a player stuck in a level of Tomb Raider could ask Assistant to pull up the exact video, at the exact time, to show a player how to beat it, without having to open a secondary device. What are special in-game features? Like, special cut scenes or side-quests you can only access by saying “Hey Google, follow that suspicious NPC down that creepy tunnel cuz of that cryptic comment he made.” Potentially worse uses like, “Hey Google, buy a loot box because why the hell not?” Nobody asked for that Google. Most likely, it’ll be used to turn the lights in a users’ room on and off during a very long binge game session. Cool.